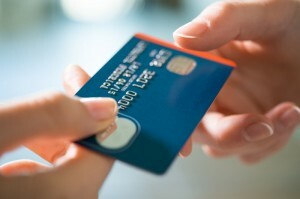 The majority of consumers use credit and debit cards to pay for purchases. Companies not accepting this form of payment risk losing business to the competition. That certainly is no way to compete in a crowded marketplace. The formula is simple. Your business must accept credit and debit card payments not only to survive, but to thrive. It is obviously important to have a quality credit and debit card processing system in place. Far too many business owners fail to realize just how important it is for their processing system to stay in place. A company must do everything possible to avoid having a merchant account temporarily frozen or terminated by the payment processing company. If your business loses the ability to accept debit and credit card payments, you may not be in business for long. A low overall chargeback ratio is necessary to avoid a disastrous situation. Vigilant monitoring is a requirement. Doing so makes you aware if your overall chargeback ratio is increasing and you can do something about it before it is too late. hance the overall customer experience – it also goes a long way in reducing chargebacks. Typically speaking, unhappy customers would rather resolve the issue instead of filing a chargeback. It is incredibly important to have an open line of communication with them. Consumers are people. They have feelings and want to be taken care of properly. Showing them respect and working out a solution is crucial to lowering your overall chargeback ratio. Another method of lowering your overall chargeback ratio is to figure out why customers are disputing the charges in the first place. A consumer will typically file a chargeback if they never received the product or service, the product or service was not described properly, or they never actually authorized the transaction. As mentioned above, consumers will also file a chargeback if they are unhappy and feel as if the vendor is ignoring them. It is significantly easier to resolve these issues when you fully understand why your customers are disputing the charges. In essence, it can be considered a measuring stick of improvements that should be made to the business. For example, there may be major problems with the shipping department that need to be addressed. Perhaps the copywriters are not describing your products properly and need to be replaced or at least managed better. Unfortunately, any business is susceptible to fraud in this day and age. Identity theft is running rampant. Criminals are stealing credit and debit card numbers, and using that information to make fraudulent purchases. It negatively affects every aspect of society. Disputes that are filled due to fraud may not be avoidable. It is the cost of doing business. However, your business can certainly lower your overall chargeback ratio by providing great customer service, delivering on time, and ensuring that the products and services are described properly.